Greetings – All are Welcome to attend. For any enquiries, to be added to the Hui E! mail list or to unsubscribe, please contact info@huie.org.nz . Whakaarohia a Papatūānuku i mua i te tānga mai i tēnei īmera. Development agencies expect a lot from civil society – from providing social services to fighting corruption. It’s little wonder that in 2003 civil society was dubbed ‘the new superpower’ by then UN Secretary General Kofi Annan. Today, it is considered a key partner in shaping and implementing the post-2015 sustainable development agenda. Hui E! Conference Room, Level 4, 120 Featherston St (corner of Waring Taylor St) Wellington. Birthright New Zealand, Family Works New Zealand and the National Council of Women organised a workshop focussed on the family violence law review discussion document. The purpose was to support the sector to create maximum positive change as a result of the review; to share information, learn from those working in the area of family violence, and discuss the discussion document’s proposals – prior to making a submission. Women’s Refuge’s Kiri Hannifin started the discussion, outlining their view, and an excellent discussion followed. The government’s discussion document can be found on www.justice.govt.nz . News from Hui E! and from everyone present – An opportunity for you to raise and discuss issues of the day, and seek collaborators on your projects, and announce upcoming events. Unitec – 139 Carrington Road, Mt Albert, Building 1, Room 1009. Productivity Commission (Speaker to be confirmed). The Commission’s final report on “More effective social services” is due to be delivered to Ministers by 31 August 2015. This will be a great opportunity to hear about it, especially if you were one of the 112 people or groups that made submissions. At the end of September we’ll be calling for nominations for three new members of the Hui E! Trust Board. They will join the six inaugural members, who will retire over the next three years. Any Formal Supporter of Hui E! can make a nomination of any person. If more than three are nominated, there will be an election – using postal voting. Trustees will demonstrate a range of experience and skills – our skills matrix involves: strategic thinking, Te Tiriti o Waitangi, commitment to Hui E! Purpose & Principles, critical thinking, organisational structures & systems, financial management, legal issues, knowledge of the whole sector, ability to focus on both national issues and regional diversity. NZFVC news story and media coverage: https://nzfvc.org.nz/news/review-family-violence-laws-government-discussion-document-released. We’ve set up an online forum – open to anyone with a passion for the sector – so you can join in discussions wherever you are based. There are three topics to get us started – Auckland Council, Contracting, and Family Violence. You can propose new topics. You need to request an invitation to join, and you can follow or not follow the topics that interest you. Check it out – http://www.huie.org.nz/forum/ . We’re beginning some work on linkages between the community sector and the universities. Many of us have very strong links with universities – staff and students who work as volunteers in our groups, people who are doing academic research in collaboration with us, people with specialized knowledge and skills who are part of setting up NGOs and being part of the governance, people contributing to public debate about the issues we are engaged in. The Education Act (1989) notes that tertiary institutions, among other things, accept a role as critic and conscience of society. We value the partnership between NGOs and the tertiary sector, and we want to find ways of strengthening that partnership. If you have some good examples of creative collaboration, let us know – we’re keen to promote good initiatives, and encourage more community groups to build links with the universities. Kieran Ireland is a student from Dunedin studying at Victoria University of Wellington, and is in the final year of his Bachelor of Arts majoring in International Relations and Spanish before moving on to a Masters degree. This semester he is interning at Hui E! where he has been able to put his interest in international affairs to good use by working on a project centred on the UN’s Sustainable Development Goals and their impact on New Zealand – see the next item! Become part of Hui E! Our new meeting space is open and available for the whole sector. At 120 Featherston Street – Level 4 – we have a wonderful meeting space – which can be used by groups up to 30 people. There are white boards, a data show, Wifi available, and tables for large or small groups. Our Community Hub is shared with Volunteering NZ and Community Research –we are happy to make the meeting space available on a koha basis. Contact us for more details, or to see if a booking is possible. The Department of Internal Affairs (DIA) is currently reviewing the Kia Tūtahi Relationship Accord, in partnership with Hui E! We seek your input on how communities are engaging with government. Go to https://www.surveymonkey.com/r/KHMNK5Y to make your input – Thanks! The Accord was signed by various community representatives and the Government in 2011. A reference group comprising government and non-government representatives was formed for one year in 2012 to provide advice on giving effect to the Accord. In addition, DIA and five other government agencies were tasked with promoting the principles of the Accord through various initiatives, and several seminars were also held in 2013 and 2014. Hui E! is in the process of writing to all Ministers highlighting the specific areas of the SDGs that are relevant to their particular portfolios. There are 17 overarching Goals and 169 specific areas where UN member states will have to set domestic targets. In the letters we are emphasising the expectation that is strongly established at the UN that civil society in each UN member state will be involved in a partnership with government to set the targets under each goal. At this point, it seems the New Zealand government’s energy at the UN has been focused on gaining a seat at the Security Council, and we have fallen well behind the majority of countries that have put great energy into consulting civil society in the formulation of the goals. Hui E!’s Dave Henderson is a member of the Stakeholder Advisory Group (SAG) working with State Services Commission and other government agencies to develop New Zealand’s periodic report under the International Open Government Partnership Agreement. Like the SDGs there is an expectation that governments who have signed up to the Agreement will have strong civil society input to their progress reports. At this point the SAG has received presentations from several key government agencies and is providing feedback on a draft report that is due in September. One problem with the report format is that New Zealand has been an innovative leader in developing open government strategies, in part as a result of its Better Public Services programme, so the categories and framework for reporting do not fit very well with what New Zealand has achieved. That said, we are working towards genuine partnership. You can see the presentations of the various government agencies involved, and make submissions towards New Zealand’s OGP report online here. Hui E! is represented on the Advisory Group with Statistics New Zealand (SNZ), updating the “Non-Profit Institutions Satellite Account”. Dave Henderson reports that the Advisory Group met last week and progress is good. Last time these statistics were updated was using 2004 data, and at that time there were estimated to be 97,000 organisations – this time about 66,000 organisations have been identified so far, and the total is expected to go over 100,000 by the time the update is completed in March 2016. SNZ is working with a range of government agencies that have data on the sector, and the results this time are expected to be much more accurate, as there better information from sources such as the Charities register, and this is more easily collated that was possible in 2004. With help from IRD for example, along with DIA’s COGS, Lotteries and other Trusts there will be much better data available on finances, such as donations, as well as changes in paid staffing. All this is stripped of data that identifies particular organisations, but it will enable tabulating of a lot of information. For example paid staff input alongside the contribution of volunteering (drawn from the latest time-use survey) will enable better measurement of the overall contribution of the sector to New Zealand’s GDP. 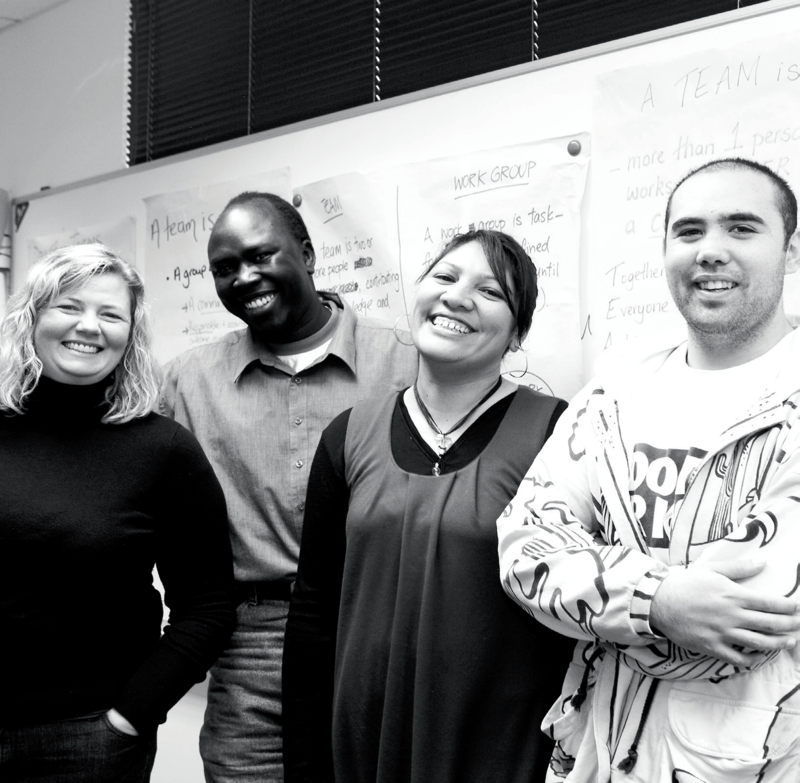 These courses have been designed for managers and co-ordinators of not-for-profit organisations, team leaders, volunteers and board members. The only qualification of its kind, it addresses the complexity and unique challenges of managing in the not-for-profit sector, compared to a business or government department. Designed with busy managers in mind, this is a part-time programme with classes offered blocks. The programme consists of eight courses exploring the fundamentals of managing in a complex community setting. Courses are six days long and offered in two blocks of three days. All assignments and assessments on the programme are based on the student’s organisation and provide a rich opportunity for their organisations to benefit from this dynamic learning community. This highly regarded programme is delivered by a team who work in the sector so is highly practical with all classwork and assessments being applied directly to your organisation. 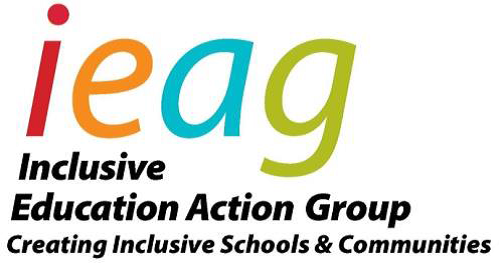 The Inclusive Education Action Group (IEAG) is a not-for-profit organisation that promotes inclusive education so all children, young people and adults, including those with disabilities, have equal opportunities to participate in their local, regular, educational setting. The National Coordinator (NC) as the sole paid employee, assists IEAG with fundraising, financial and operations management and administration. The National Coordinator will have a key role in communicating with IEAG members, stakeholders, and allied organisations to advance our work and mission. This position would suit an organised person who can complete fundraising and administration tasks to a high standard alongside engaging in projects and initiatives as directed by or in conjunction with the Governing Committee. Our preference is for the position to be based in Wellington, however applicants from other areas will be considered. Remuneration will be based on experience. Registered charities are now starting to grapple with new accounting standards. For some this means changes in accounting treatment and for larger entities the required treatment may be more complex. We look at an issue that has arisen with the application of the new revenue standard in relation to donated goods and opportunity shops and a great story of a prompt and practical response. 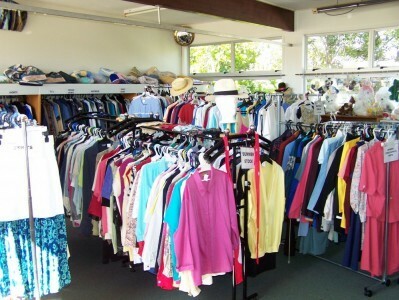 Opportunity shops have been a very common form of income generating business enterprise for larger NZ charities. They are a common feature of our town shopping streets providing a magnet for bargain hunters, an income stream for charities, and an outlet for people to donate unwanted clothes and household goods to a good cause rather than throw them out. They are also often largely staffed by volunteers further adding to their sustainable nature and income generation for the charity. This newsletter is produced by Hui E! Community Aotearoa. All the information is intended to assist readers to pursue in a non-partisan way an interest in matters relating to civil society in Aotearoa New Zealand. An effort is made within available resources to ensure accuracy but no guarantee is given or implied. If you have contributions, comments or suggestions, please forward them to dave.henderson@huie.org.nz. We thank you warmly for your support, and hope to see you at our sector hui!